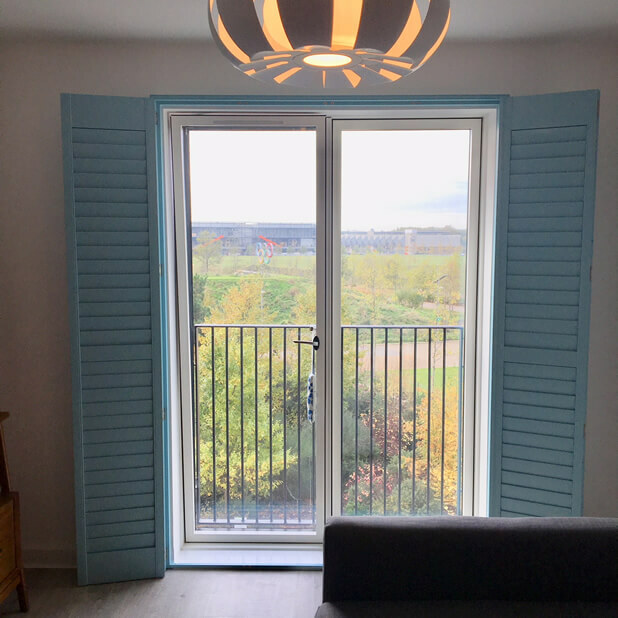 We visited a new client called Sarah, who was looking to have some shutters fitted to her new build property in Stratford, London which actually overlooks the Olympic park! 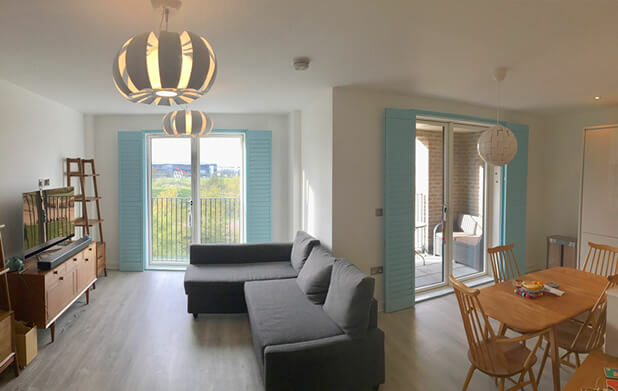 With such a view from the rooms she was keen to achieve the perfect mix of views, lighting and privacy and decided upon some of our plantation shutters! 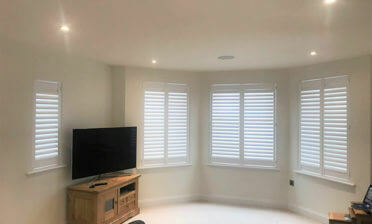 These shutters were to be fitted to French doors, so needed to be tall and tough, which is why we created them from our range of Fiji hardwood which can not only withstand day to day use on such an opening, but also are very lightweight to open and close! In fact they are the most lightweight hardwood in our range. 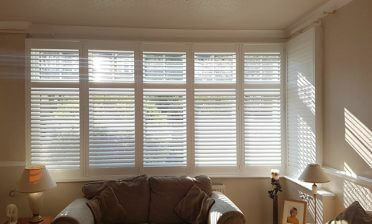 We designed the shutters with a mid rail directly across the middle for extra strength with added flexibility for adjusting the top and bottom louvres separately. This is great to have with views like this, where you may wish for privacy, but still maximum view outside and lighting. 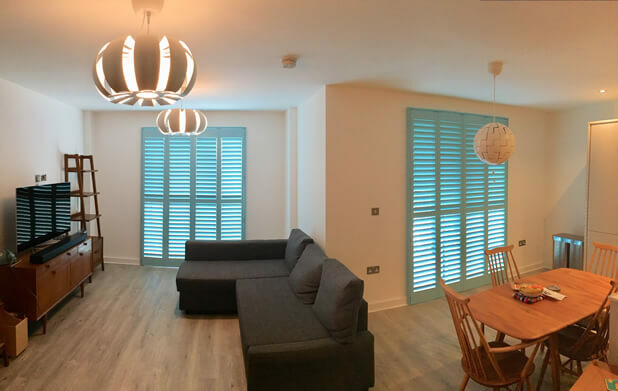 All the shutters were designed to match across the living room and dining room areas using custom Farrow & Ball Blue Ground 210 paint, which really creates a pop of colour through the room in a colour that our customer loved. Tom carried out this installation for another happy customer, using a 3 sided insert L frame, beaded stiles and finishing off the whole install with brushed nickel plated hinges. 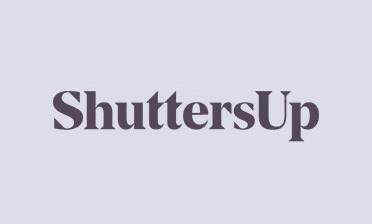 The small details that really make our bespoke shutters stand out from the crowd! 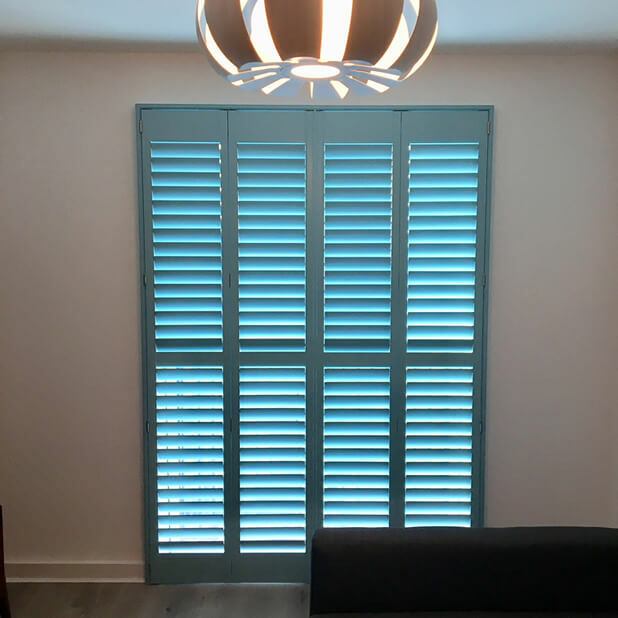 These shutters over delivered on the client’s requirements, creating a modern, light and unique look for her new build property.